"Innovations and enterprise will be the foundation stone for making India a developed economy. A long-term sustainable technology-led economic growth is possible on this foundation," PM Modi said. "Let us affirm that the best ideas will come from Indian laboratories and from Indian students. 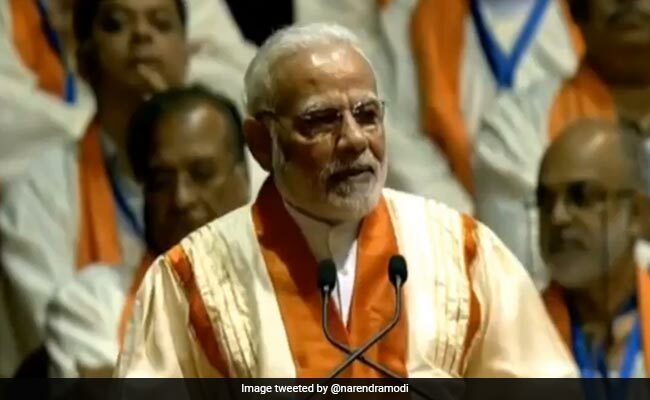 From mitigating climate change to ensuring better agricultural productivity, from cleaner energy to water conservation, from combating malnutrition to effective waste management," PM Modi said. "That India is emerging as the hub for start-ups shows the thirst for innovations... We must make India as the most attractive destination for innovations and enterprise," PM Modi added. "We must build on this... It will not happen only through government efforts but by youngsters here... The best ideas come in their minds and not in government offices," PM Modi said.